My ICE Plan is Home Inventory & Family Emergency Planning Software that is easy to use and makes creating a home inventory fun. Create a "what to do in case of emergency" plan for your family and pets when a diaster does strike. You can use it anywhere without having to re-install the software. Just use a thumb drive, plug into any Windows machine and you're all set! Besides a home inventory you can also create a family disaster plan. ...... with unlimited images and movies. Print wallet cards containing medical and meeting places. Create & maintain multiple Emergency Kits! Keep track of the value and serial numbers of your possessions. Popular Home Inventory and Maintenance costs manager. Easy to install and use. Keep track of your valuables, household items and collectibles. Organize information about your possessions and more. 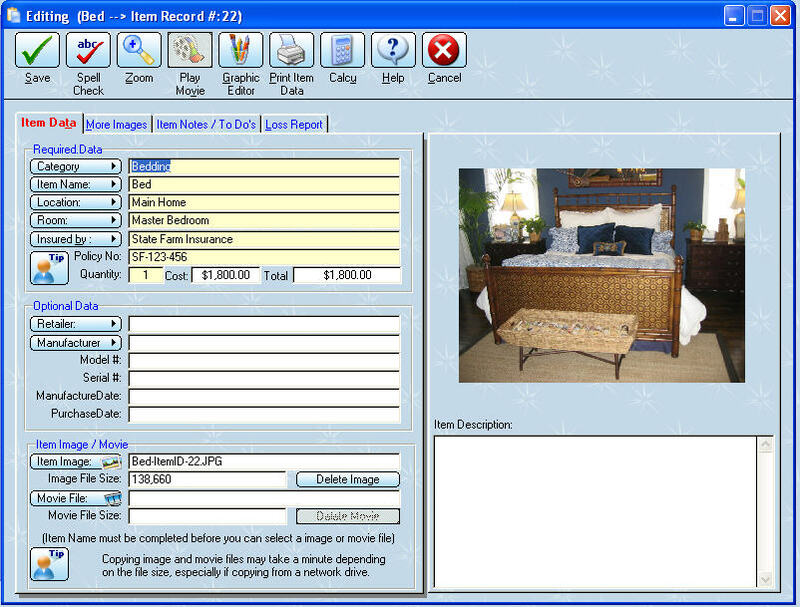 Excellent software for keeping inventory of household items and documents. InventoryBuilder is a easy-to-use inventory manager. Create a detailed inventory of your household, including multiple photos. Qweas is providing links to My ICE Plan Home Inventory Build-9414 as a courtesy, and makes no representations regarding My ICE Plan Home Inventory or any other applications or any information related thereto. Any questions, complaints or claims regarding this application My ICE Plan Home Inventory Build-9414 must be directed to the appropriate software vendor. You may click the publisher link of My ICE Plan Home Inventory on the top of this page to get more details about the vendor.